Today we made it from Parker to Gila Bend. 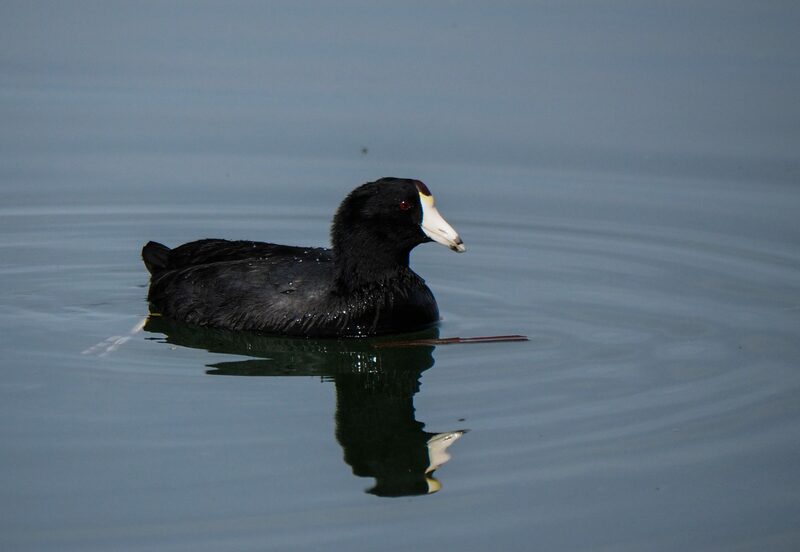 Starting out in Parker we said good morning to some coots swimming along the river and once we left the city, we left the water as well. 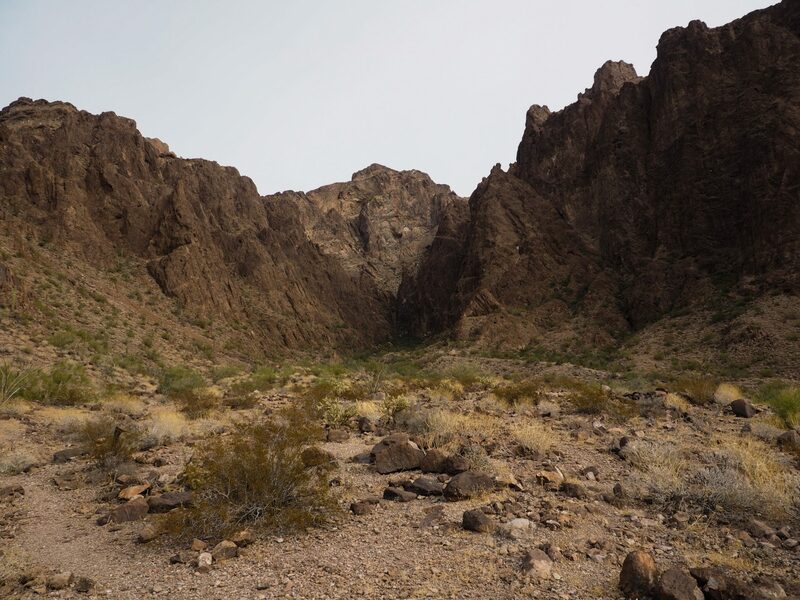 Out first stop was Quartzsite which looked a little different than the last time we were there. Last time, it was a bustling metropolis of tents and portable buildings full of STUFF! This time, there was just a few tents and a lot of people were packing up from the weekend. It was like a ghost town. In talking to one fellow he said that the season hadn’t really started yet and it would get busier if the weather was good. He left his motorhome down over the summer and was saying that it almost got washed away in a flood. Taking it back to Oregon this year. No ill effects and down the road we went. At this point, we are heading to Yuma. Why Yuma you ask when we both swore we would never go to Yuma again after the last time we were there? Rob thought that we might go down to Mexico and that was the closest entry point. Needless to say, we spent less than 1/2 hour in Yuma and that was at the information centre before we left and didn’t go to Mexico. First, we couldn’t find any information on where we were looking to go and the other problem was insurance which can be quite expensive and is not always honoured. So… on we went to Gila Bend. 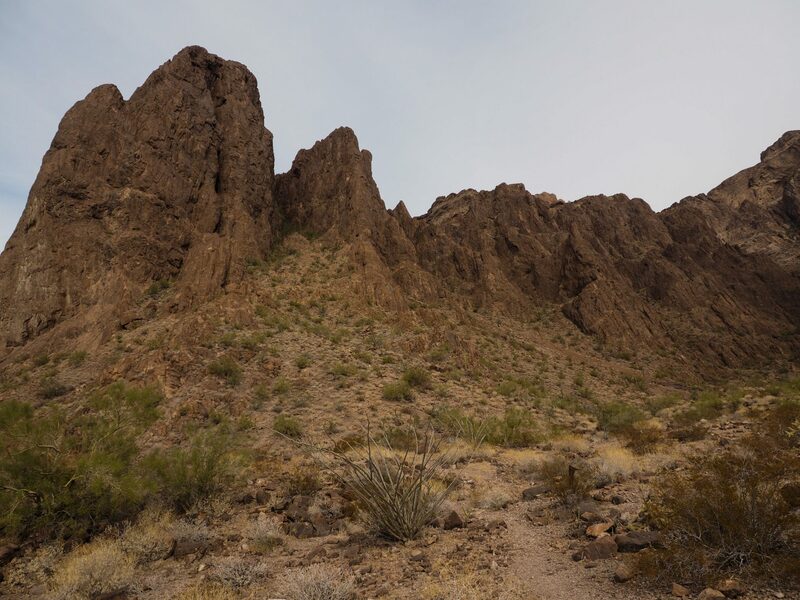 To back up a bit, before we got to Yuma there is Kofa National Wildlife Refuge. 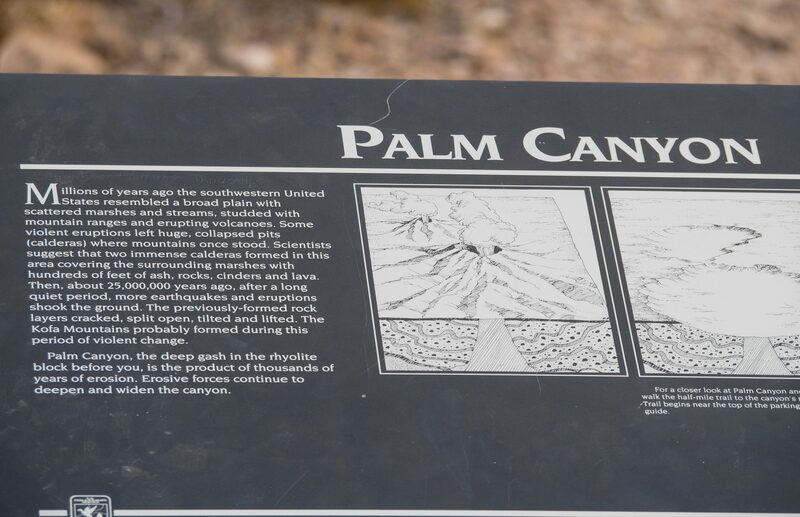 There are numerous places you can access it on Highway 95 and we ended up at Palm Canyon. The only wildlife we saw was a couple of lizards but it was such a peaceful place I could have stayed all afternoon. It was like a place where man hadn’t walked before and the earth was brand new. And the silence… well was silent. You couldn’t hear anything except nature. It was wonderful. Getting a hotel/motel is always an interesting experience. We don’t book ahead as we usually don’t know where we are going to end up so we head into a town and look around. Tonight we stopped at a Best Western and their prices were $135 for queen size bed. Rob got them down to $116 but decided that we would try another one and asked the girl at the desk if she could recommend one. This actually works really well if you ask and she recommended a motel/hotel down the road with good rates and that was clean. So here we are. Clean and the rate was only $67 for the night. Pays to ask around. Who knows where we will end up tomorrow.